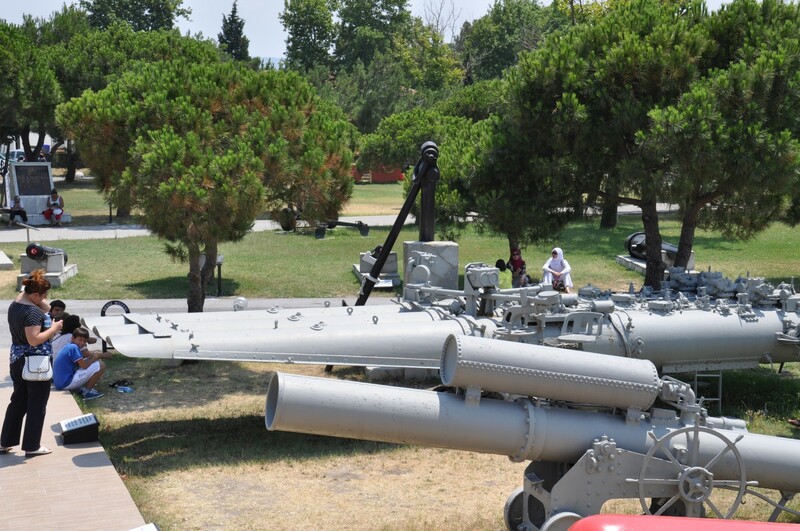 Military Museum (tr. 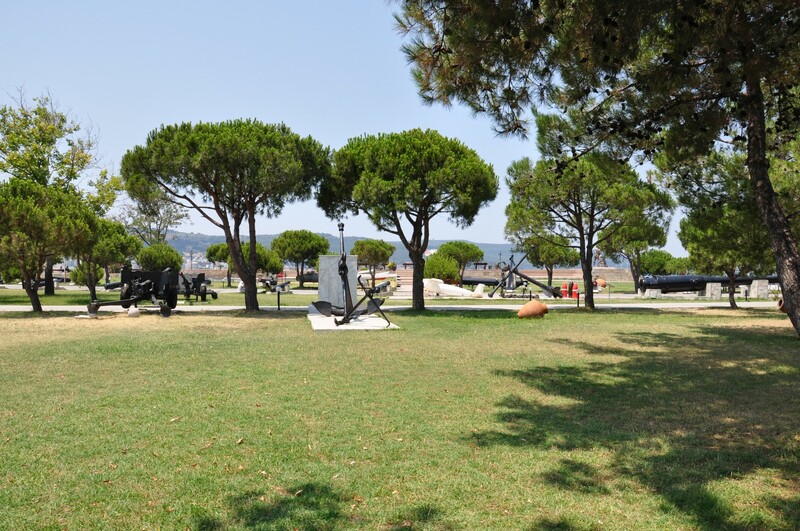 Çanakkale Deniz Müzesi) is also known as the Museum of the Navy Command of the Dardanelles Strait (tr. 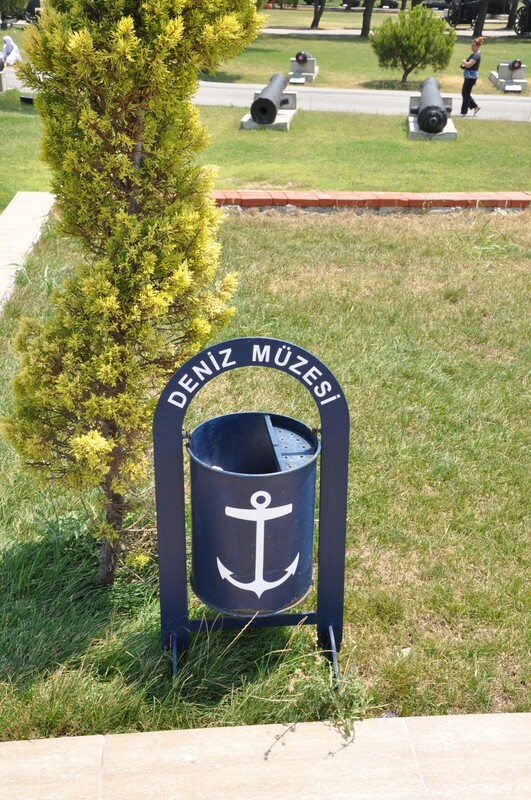 Çanakkale Boğaz Komutanliği Deniz Müzesi), but we will keep to the shorter version. 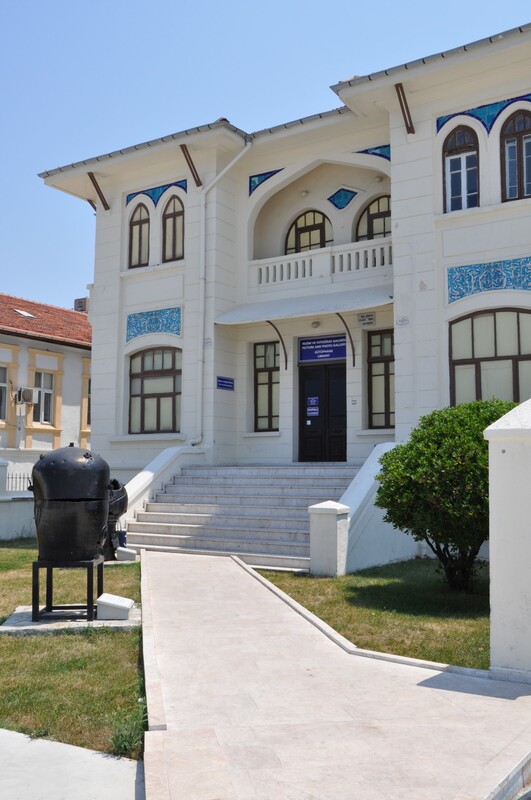 The museum was founded on the 67th anniversary of the naval victory of the Ottoman fleet on the 18th of March, 1915. 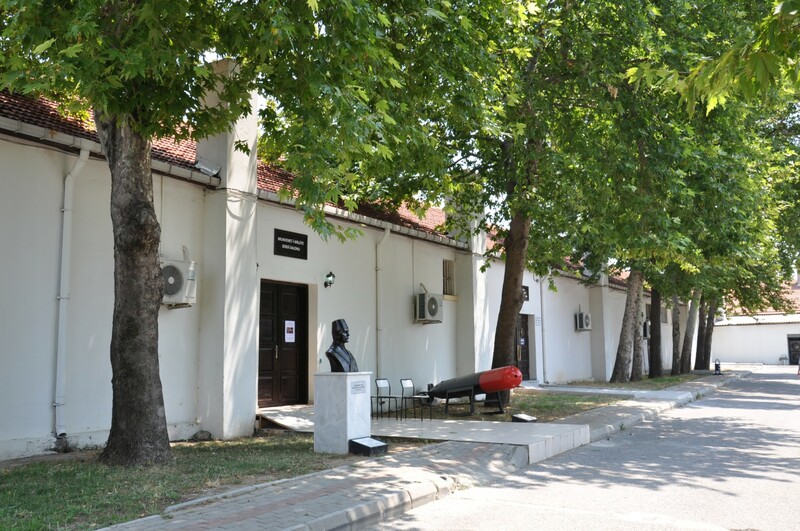 Many exhibits from the First World War have been displayed on the extensive grounds, along tree-shaded alleys. 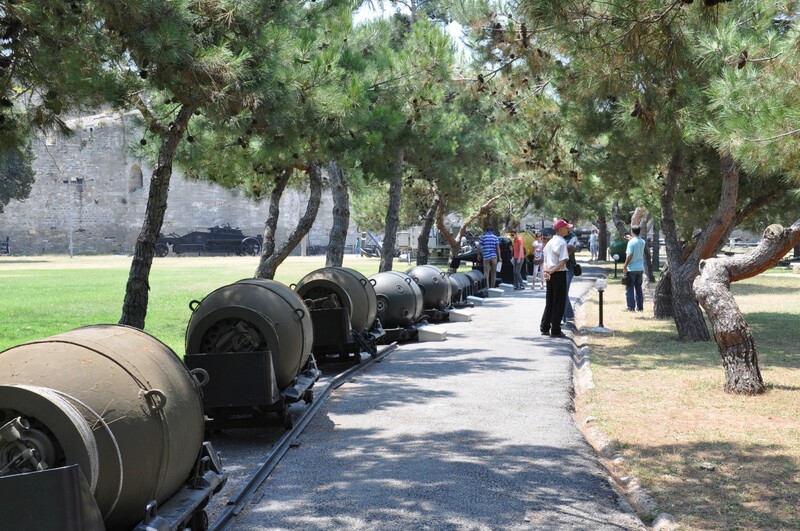 You can see naval mines, produced, among others, in Turkey, Russia, and the USA, as well as cannons and anchors. 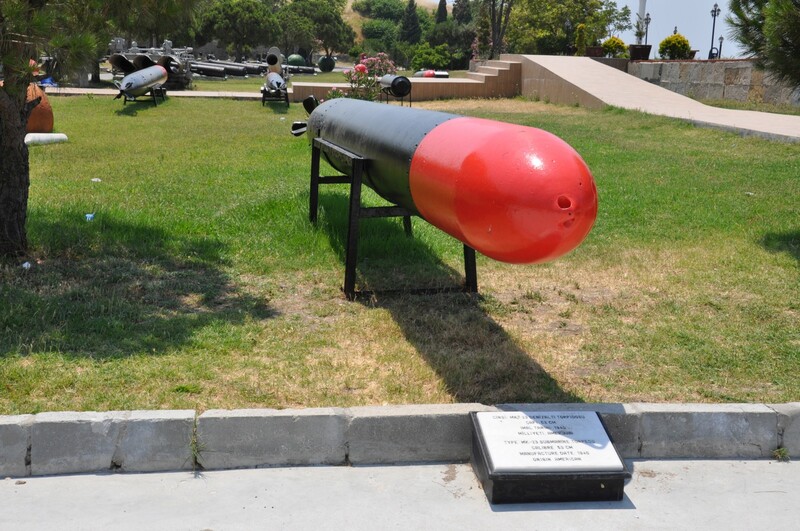 The biggest attraction of this part of the museum, literally and figuratively, are the remains of the UB-46 submarine. This submarine was built in Bremen (Germany) and launched in 1915. 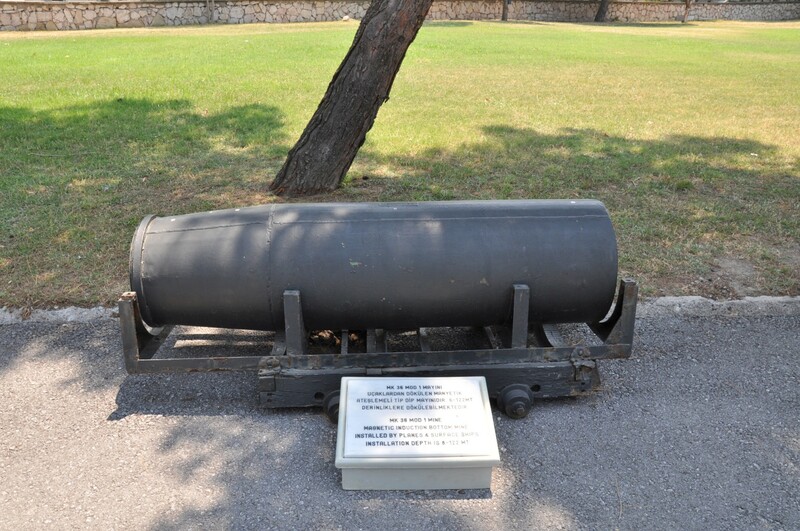 During the First World War, Germany and the Ottoman Empire were allies, and this submarine was tasked with patrolling the waters around Istanbul. During the six-month service, it sank four ships, including a British steamer Huntaral, and Russian warship Melenia. 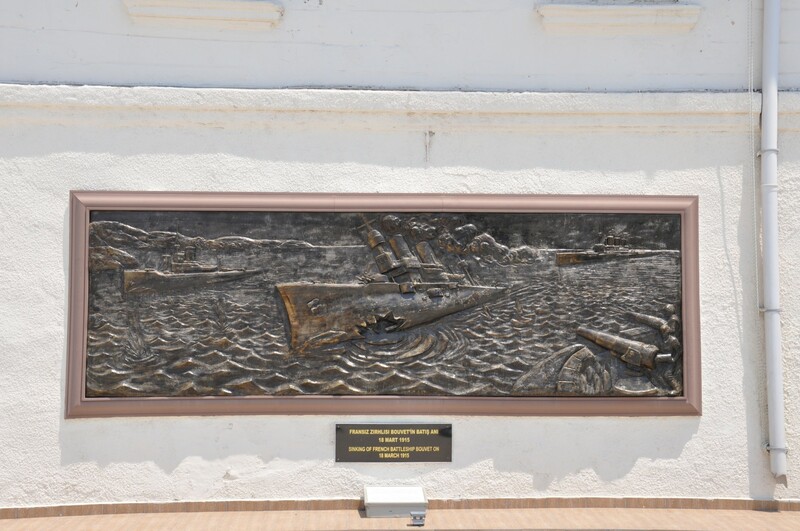 In December 1916, during the fifth patrol, UB-46 hit a mine in the Black Sea, near the entrance to the Bosphorus and sank. 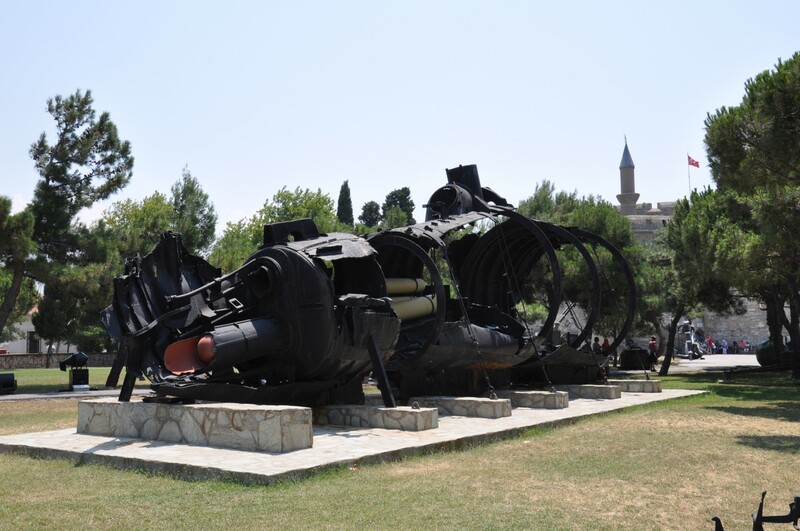 The remains of the ship were discovered in 1933 in the waters near the village of Akpinar. 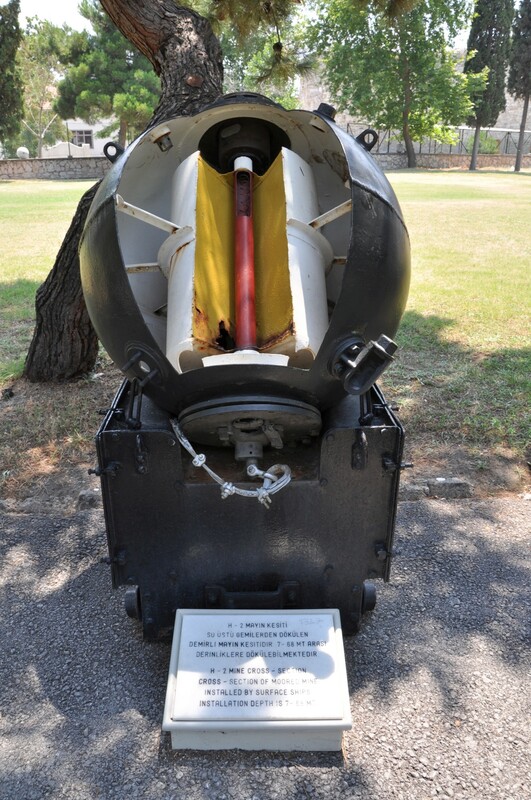 Currently, they are exhibited in the Military Museum. 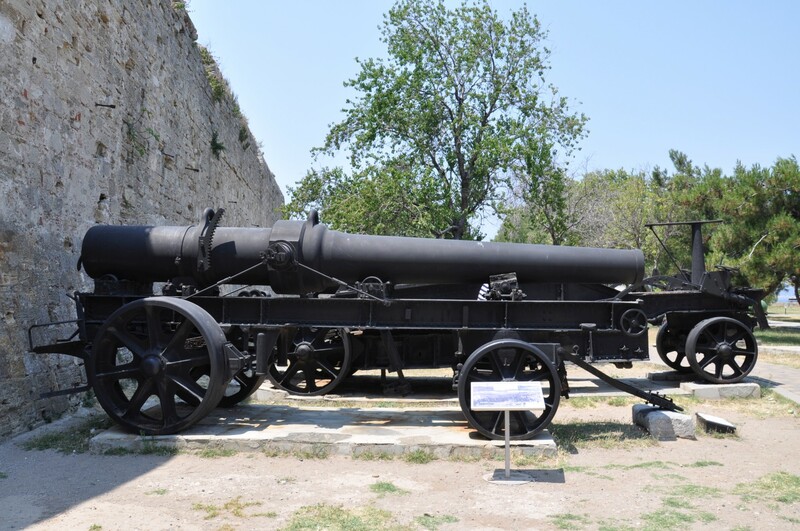 The most fascinating exhibit of the Military Museum is certainly a replica of minelayer Nusret (tr. Nusret Mayın Gemisi). Minelayer Nusret was constructed at a shipyard in Kiel (Germany) in 1912. 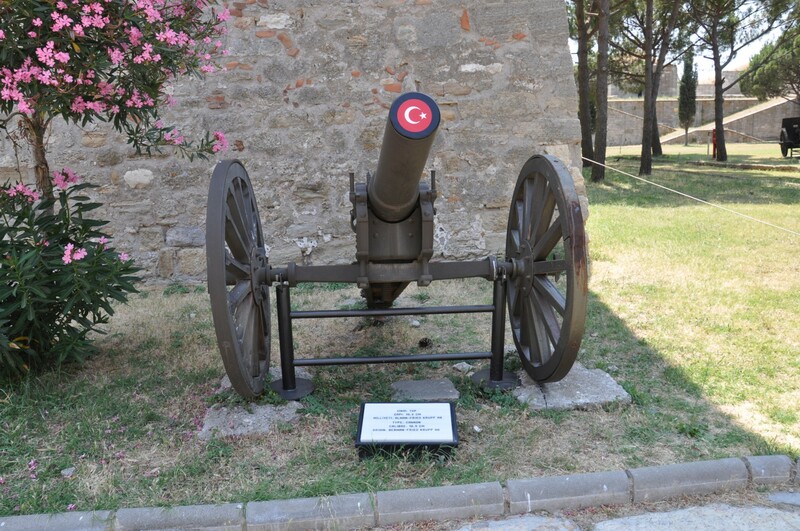 It was acquired by the Ottoman fleet three years later. 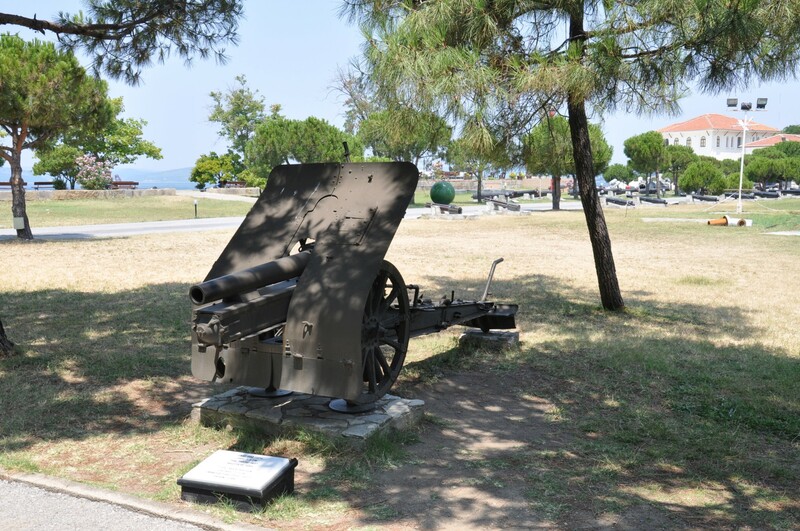 During the First World War, it played a huge role in the defence of the Gallipoli Peninsula against the Allied fleet. 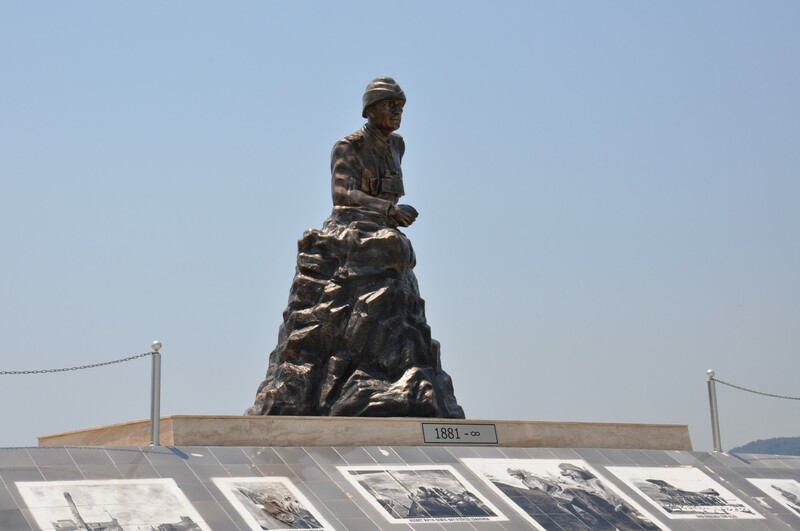 In short, its history during this campaign is as follows: at night on the 8th of March 8, 1915, the commander of Nusret, Captain Hakki Bey, secretly steered the ship into the waters of Erenköy Bay. 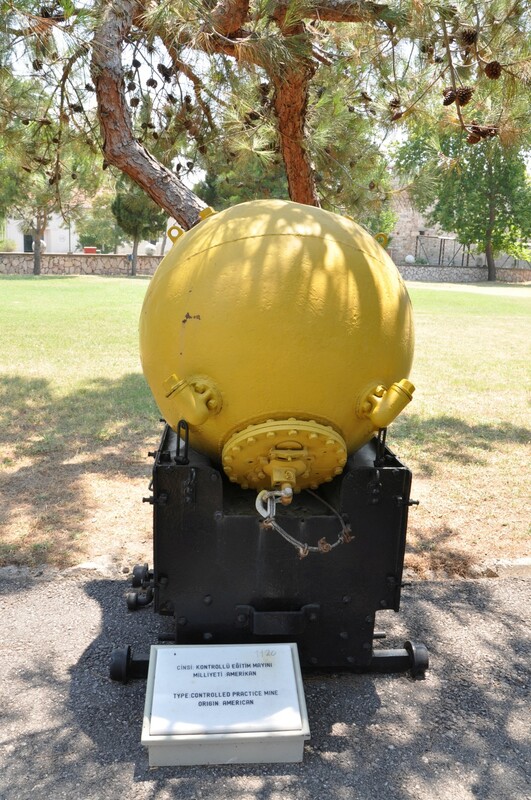 There 26 sea mines were positioned, parallelly to the shoreline. 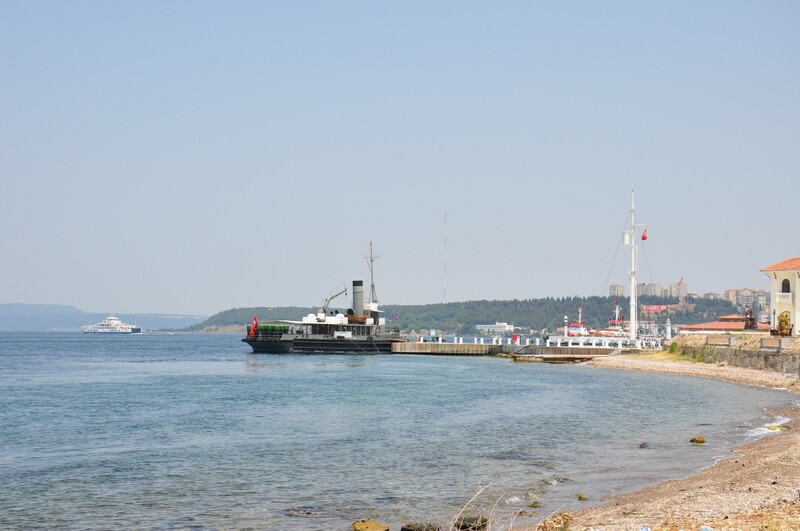 The Allies had known of the other mines in the area of the Dardanelles, but Erenköy Bay was considered to be safe for the manoeuvres. 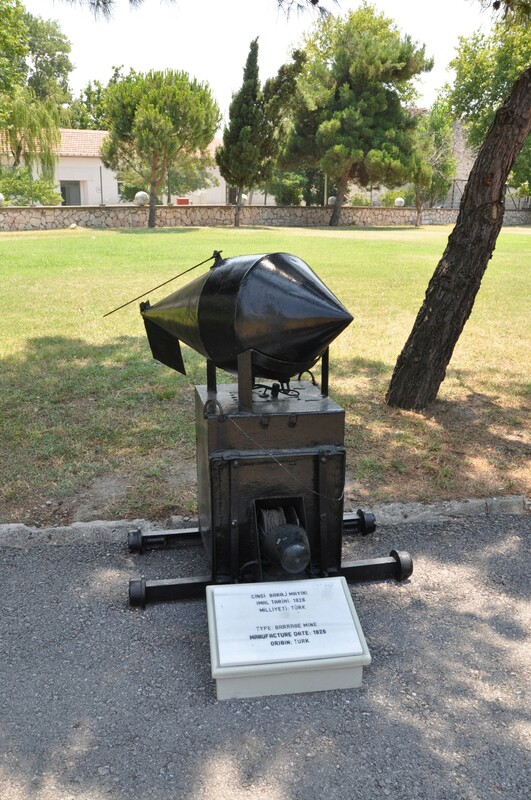 In this way, a trap was prepared to catch the French and British flotilla. On the 18th of March, massive Allied flotilla began a concentrated attack, intending to gain a sea route to Istanbul by the Dardanelles Strait. During the manoeuvres in Erenköy Bay, French battleship Bouvet hit a mine and sank, taking 639 sailors to the bottom of the bay. 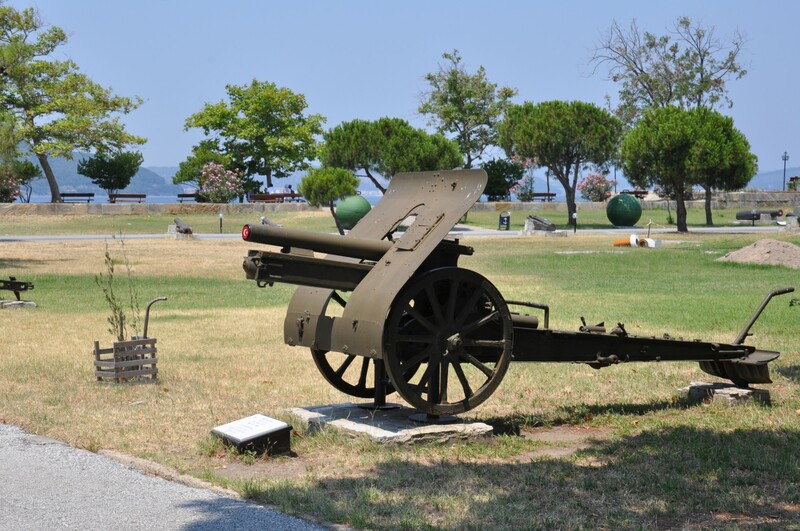 This event significantly raised the morale of Turkish troops that were operating the cannons located on the shores of the strait. Soon afterwards, two British ships, HMS Irresistible and HMS Ocean, also hit the mines during their manoeuvres and sank. As a result of this tragic balance of just one day of warfare, the command of the Allied forces decided to discontinue the maritime campaign, and start land-based activities instead. 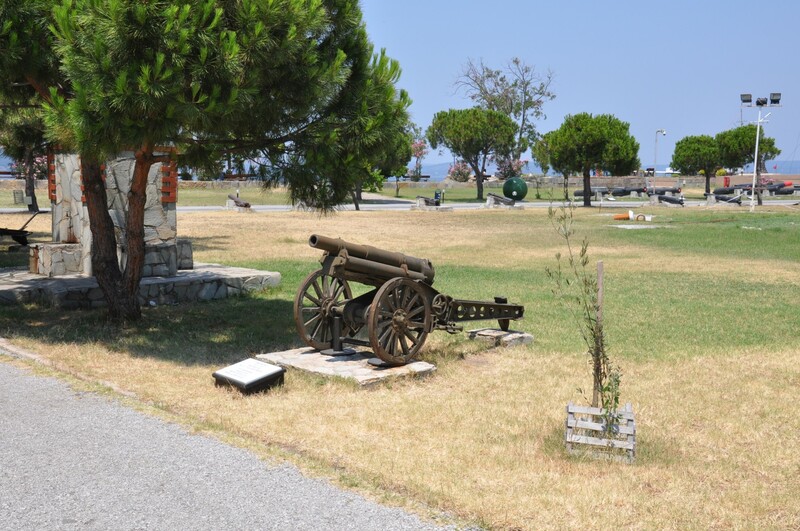 After these events, Nusret was hailed a hero of the campaign for the defence of the Dardanelles. 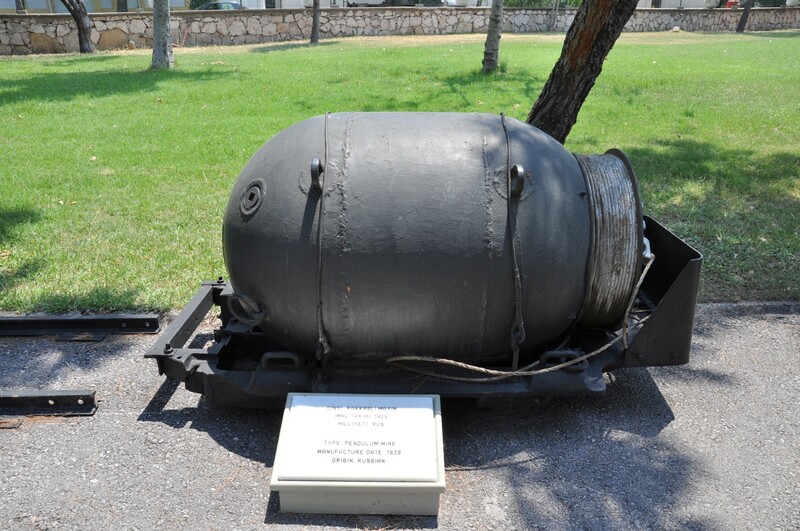 However, its fame war did not result in early retirement as it served the Turkish Navy for 42 years, until 1955. 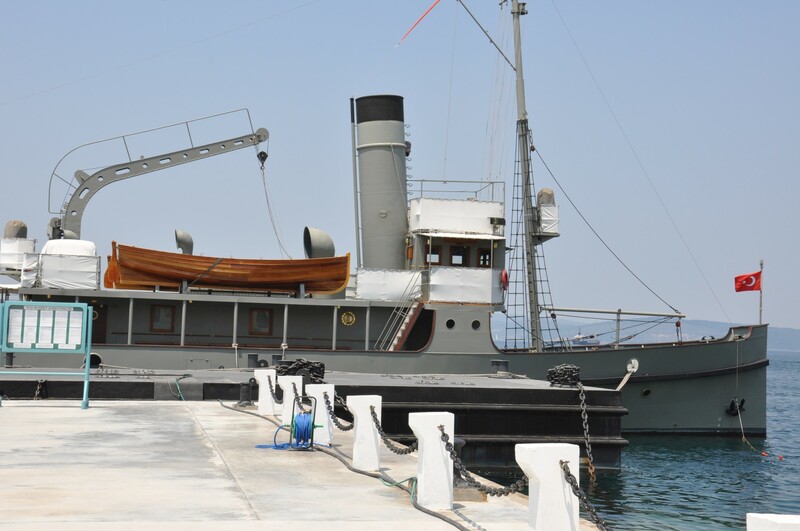 In 1982, the shipyard in Istanbul built a replica of Nusret in 1 to 1 scale, which is now exhibited at the Military Museum in Çanakkale. On board of this replica, you can see the photos and plans depicting the history of the warship. 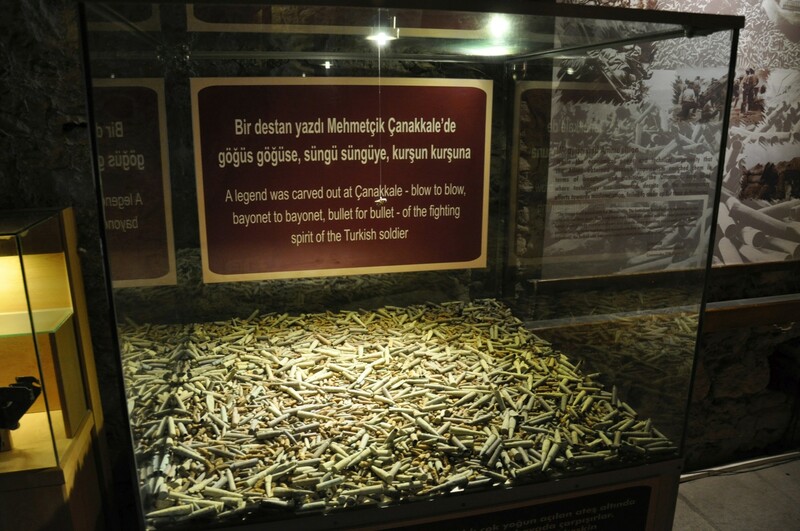 Maybe some of you are wondering why the museum does not display to the original Nusret. After this minelayer had retired from the military service, it was bought by private entrepreneurs and transformed into a civilian freighter. 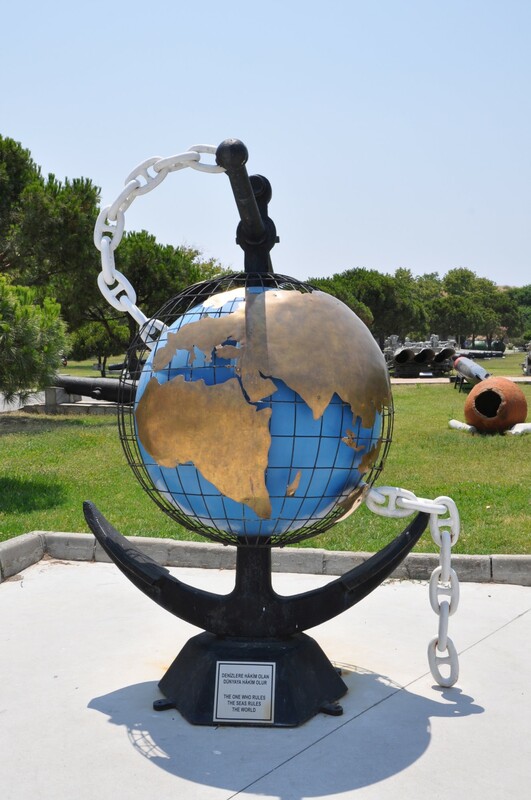 The ship served from 1966 as Kaptan Nusret, and, in 1989, it sank near the port of Mersin. But this is not the end of its story - after ten years under water, Nusret was extracted from the seabed and purchased by the city of Tarsus. 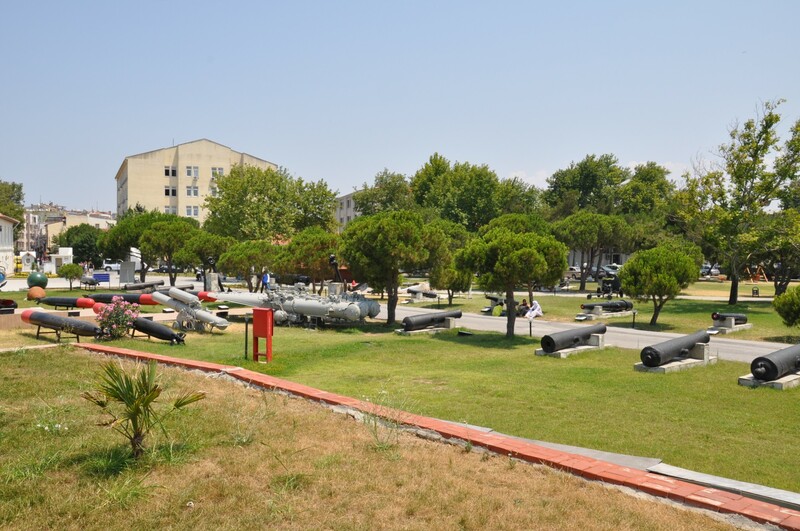 In 2008, it was converted into a museum ship that can be visited in the area known as Tarsus Çanakkale Park. 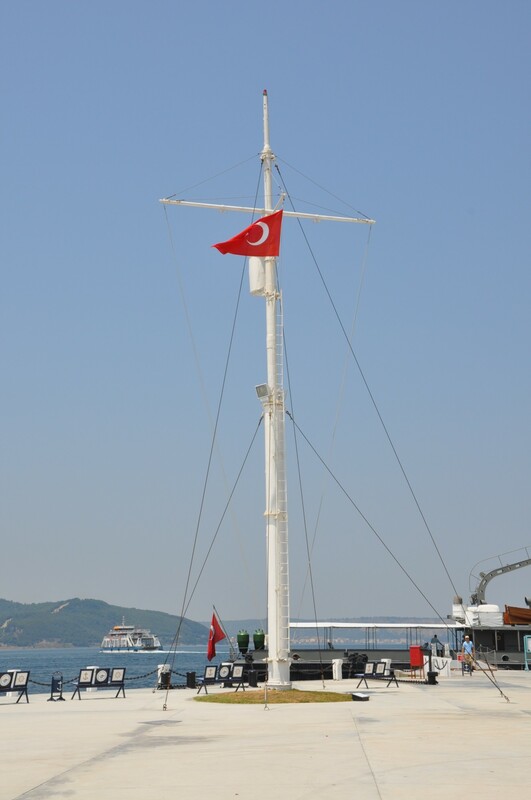 Therefore, to visit the original ship, you need to go to the south of Turkey, to the Mediterranean Coast. The more detailed history of Nusret is presented in a separate chapter of this guidebook. The Gallery of Photos and Paintings (tr. 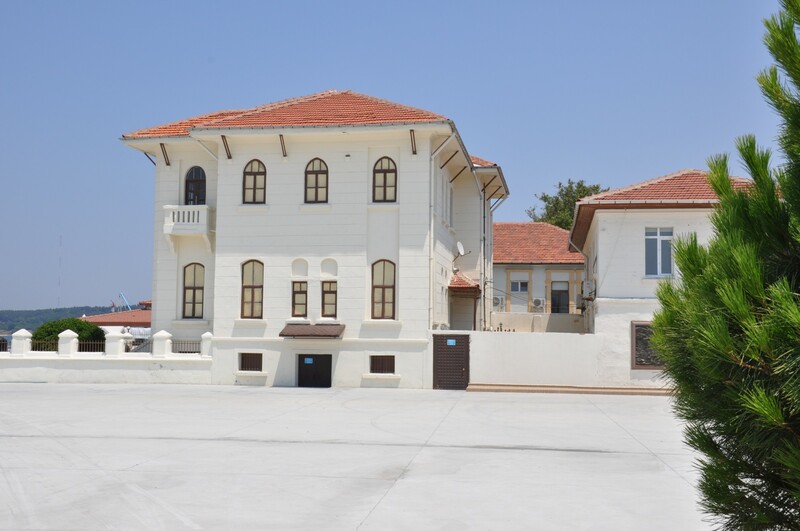 Resim ve Fotoğraf Galerisi) operates in the building erected in 1927, in the early-republican style. Originally it housed the headquarters of the fortress and was converted into the gallery building in 1982. Today, on the ground floor there is an exhibition of sea mines, on the first floor - photos, uniforms, weapons, and flags from the First World War, as well as a mock-up of the Dardanelles. On the second floor, the sketches and paintings by military painter Mehmet Ali Laga are on display. 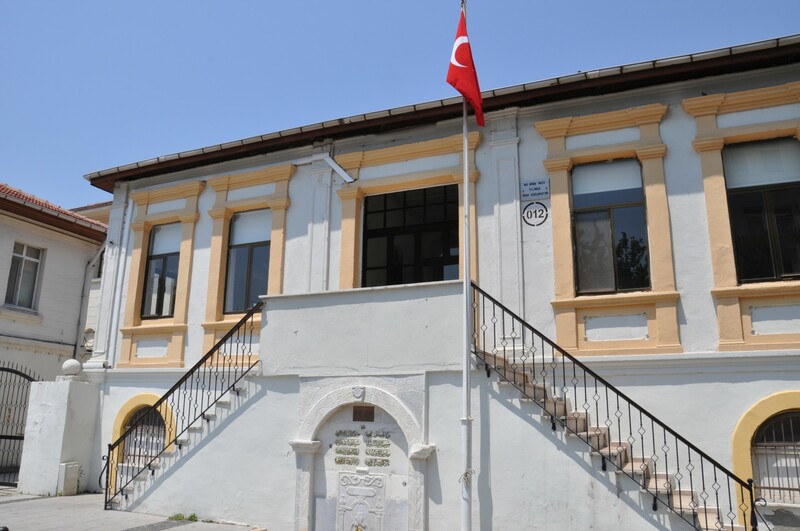 In the same building, there is a specialised Library of the Gallipoli Campaign (tr. 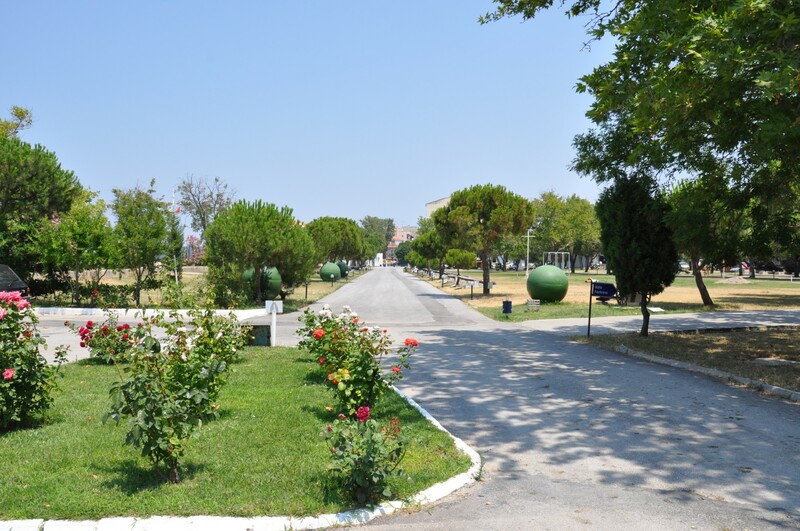 Çanakkale Savaşları İhtisas Kütüphanesi), that was established in 2002. 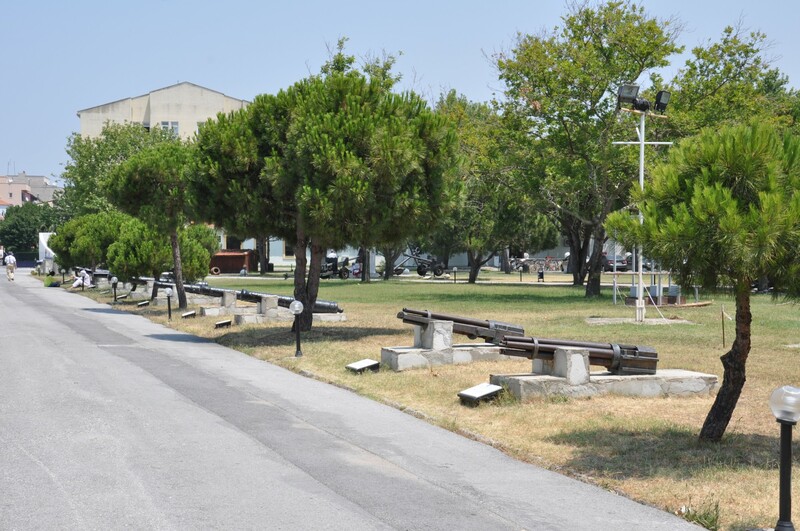 According to the orders from the Dardanelles Strait Command, this institution collects documents concerning the naval battles of 1915, as well as the entire military campaign of the Gallipoli Peninsula. Çimenlik Castle (i.e. the Meadow Castle), also known as Kale-i Sultaniye, was build in the 15th century on the orders of Sultan Mehmet the Conqueror. 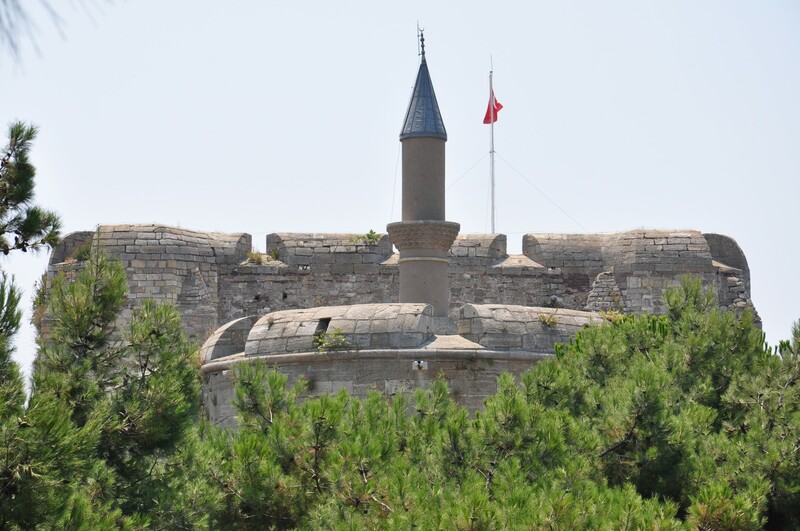 The construction of the fortress on the Asian shore of the Dardanelles took two years to complete, from 1461 to 1462. Building materials were obtained from the ancient city of Abydos and other sites. 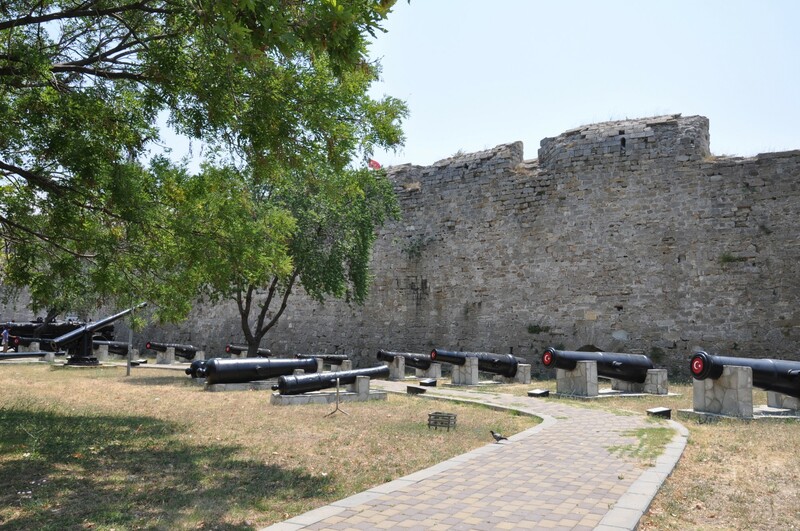 At the same time, Kilitbahir Fortress was erected on the European shore of the strait. The outer walls of the fortress make up a roughly rectangular shape with the sides 100 meters and 150 meters long. The height of the external walls is 11 meters, with a thickness 5 to 7 meters. 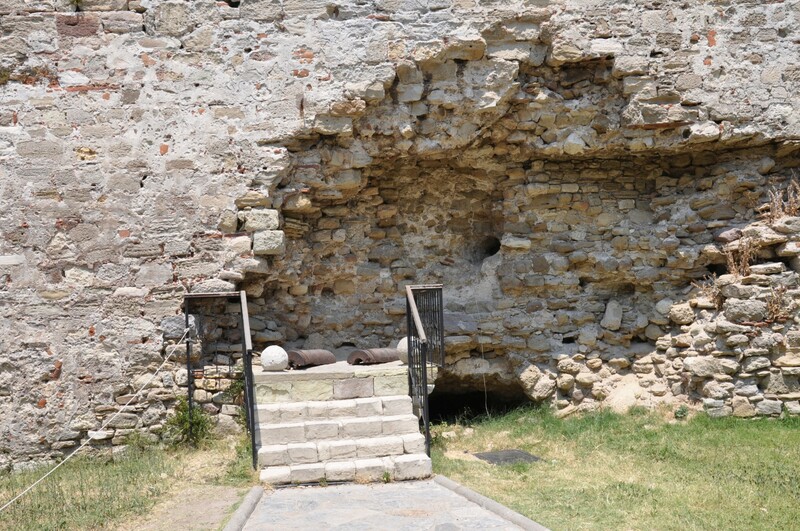 Inside these walls, there is a courtyard, where the inner fortress (tr. İç Kale) stands. It is also rectangular, with the sides measuring 44 and 29 meters. Its walls have a height of 25 meters and are 9.5 meters thick. The interior of the fortress has three floors, of which only the lowest one was built of stone and the other two - of wood. The fortifications are strengthened by nine towers, located along the outer walls and inside the fortress. Two mosques - Fatih Camii and Abdulaziz Camii - stand in the inner courtyard of the fortress. 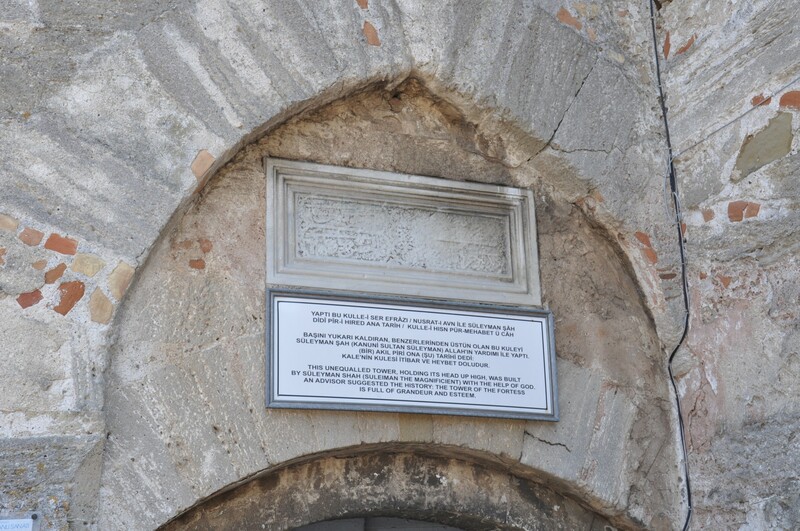 They bear the names of the Ottoman sultans who ordered their construction. Fatih Mosque was built simultaneously with the fortress. This rectangular building has two floors. On the ground floor there are living rooms, and on the first floor - a prayer room. 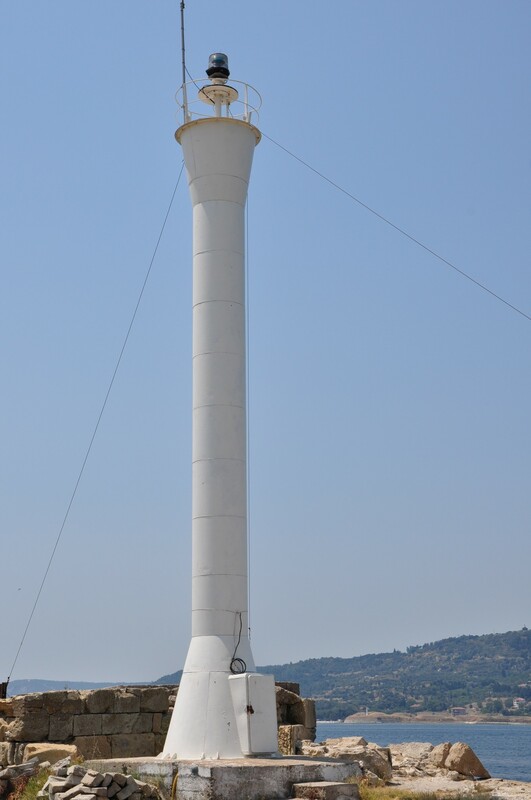 One minaret rises above the mosque. Abdulaziz Mosque has no minaret at all. It was built at the end of the 19th century, on a rectangular plan with a semicircular niche. 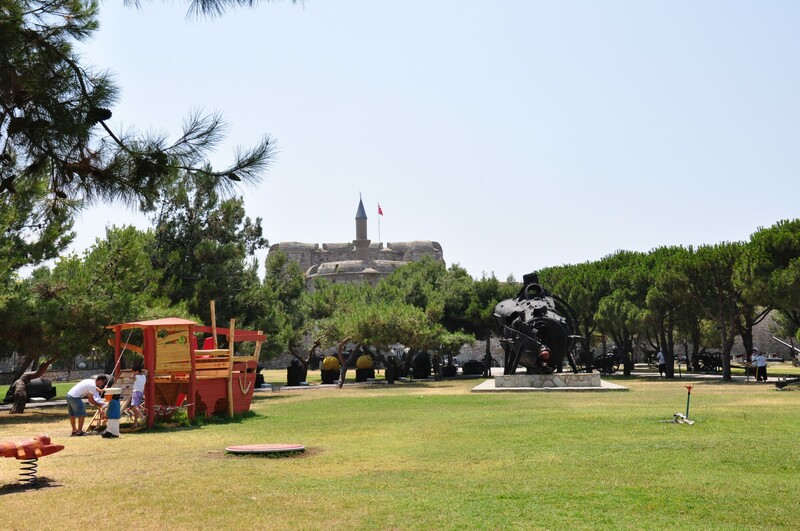 The creation of Çimenlik Castle was also the moment of founding Çanakkale, which has grown in the following centuries, from the village at the foot of the castle to the sizable city it is now. It is said that the famous Ottoman cartographer - Piri Reis - finished the most important work his life i.e. the Book of Navigation (tr. Kitab-ı Bahriye), in his room in this fortress. During its existence, Çimenlik Castle has repeatedly been repaired and expanded. Its major reconstruction was carried out in 1551, during the reign of Sultan Suleiman the Magnificent. 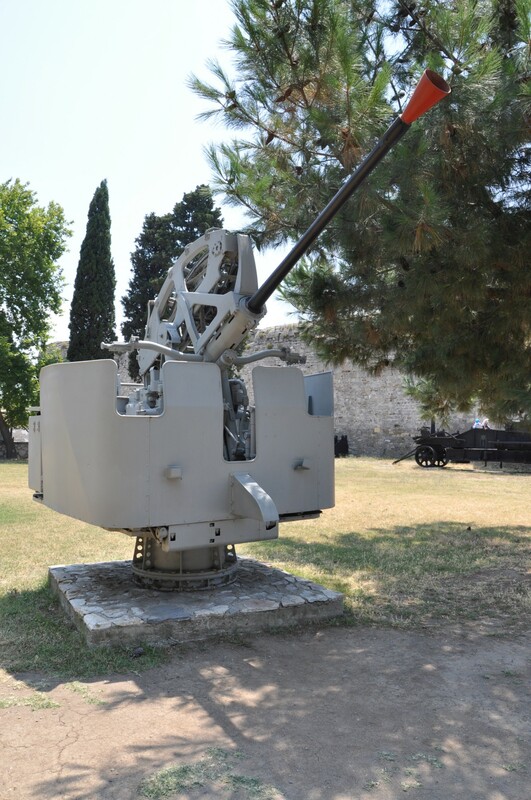 In the 19th century, new artillery units were installed in the castle. 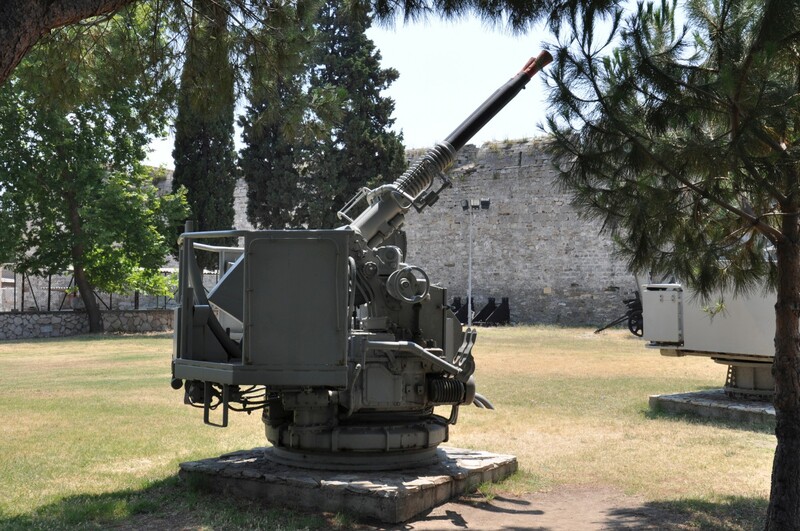 During the sea battle of the Dardanelles, in 1915, the fortress was used as command and administration headquarters. 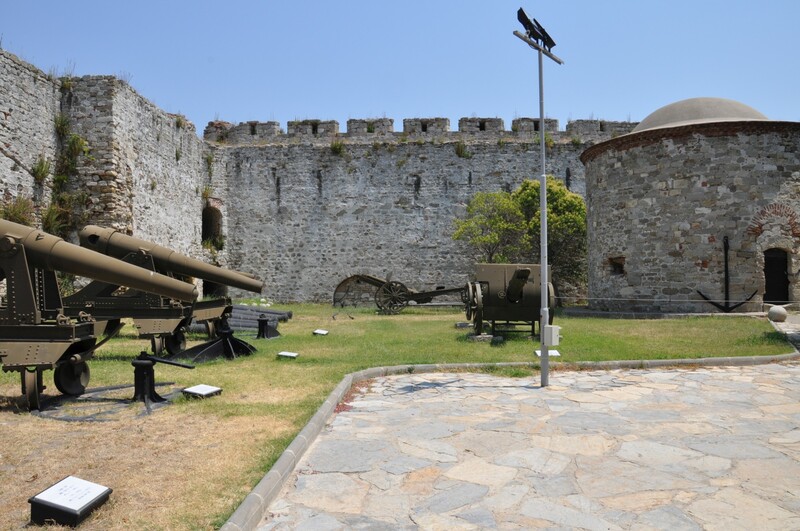 Today, the fortress is located in the area of the Military Museum and it can be visited for a fee. 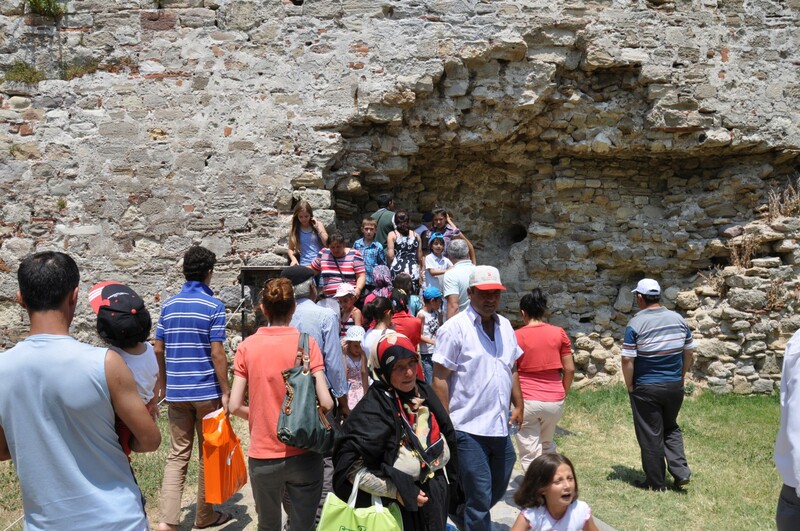 Please note that the tour of the fortress is available in the company of a guide only. There is no possibility of individual exploration and taking photographs during the presentations is strictly prohibited. 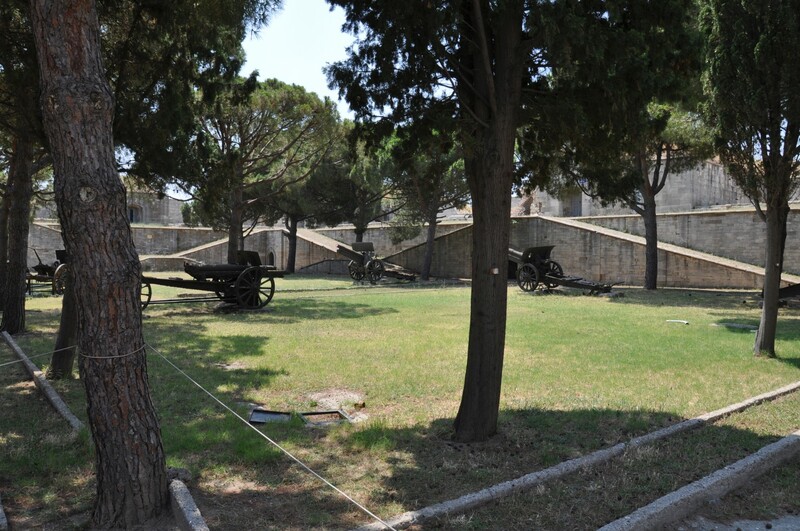 The courtyard is surrounded by the cannons, made in English, French, and German foundries, which were used during the Battle of the Dardanelles. 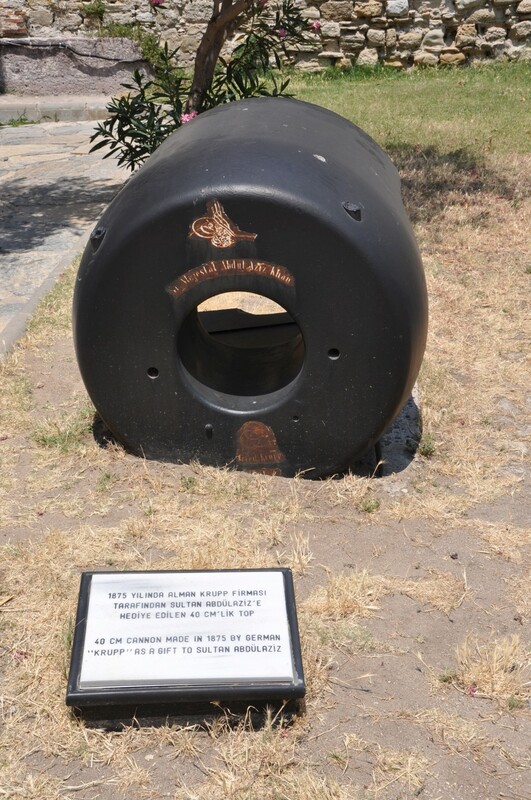 The big attraction for visitors is a crater in the defensive wall, with an unexploded shell which was launched from Queen Elizabeth warship on the 18th of March, 1915. 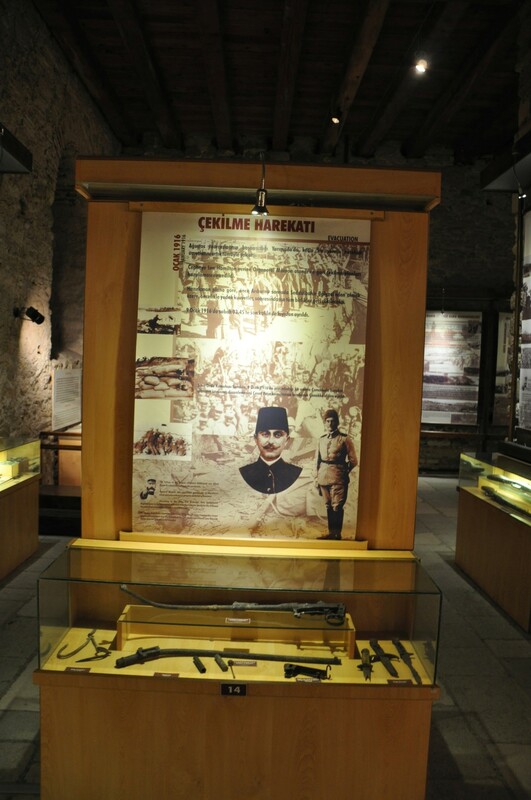 On the three floors inside the fortress, there is an exhibition (tr. 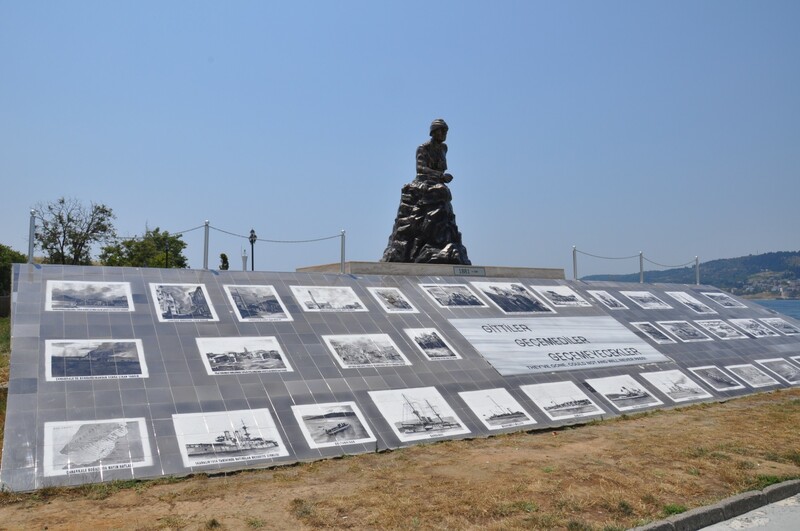 Sergi Salonu) commemorating the Battle of the Dardanelles. On the ground floor, a guide tells the visitors about the battle, showing them the movies and specimens of weapons used during the fighting. Theatrical performances are held on the first floor; there are also recreated scenes from the times of the war. On the second floor, there is an exhibition of oil paintings depicting the Battle of Gallipoli, painted by F. Korkut Uluğ. 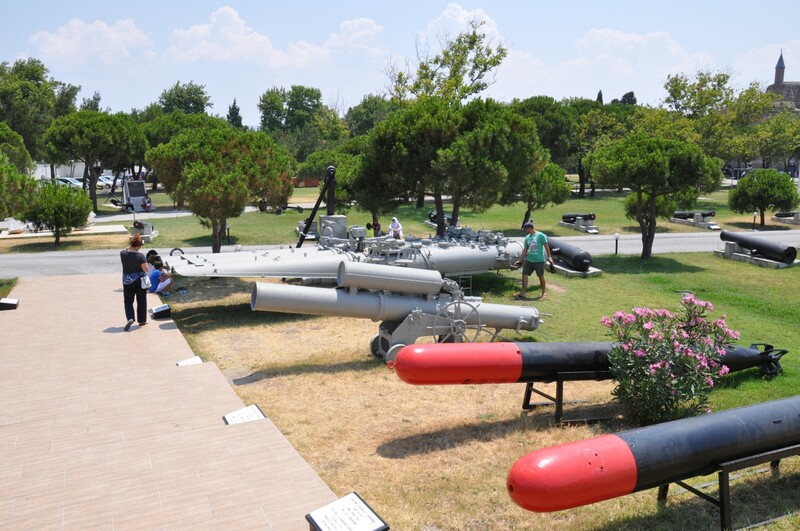 Military Museum and Çimenlik Castle are situated in the centre of Çanakkale. 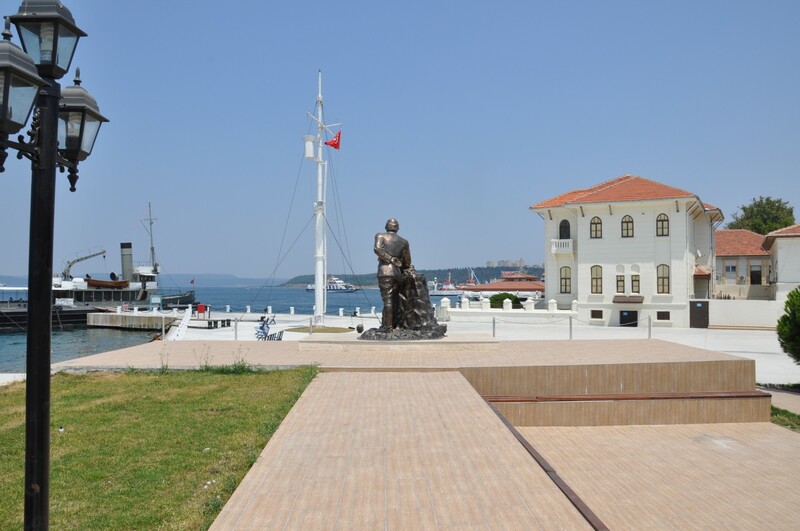 To get there, follow Yalı Street from the ferry terminal in the western direction. 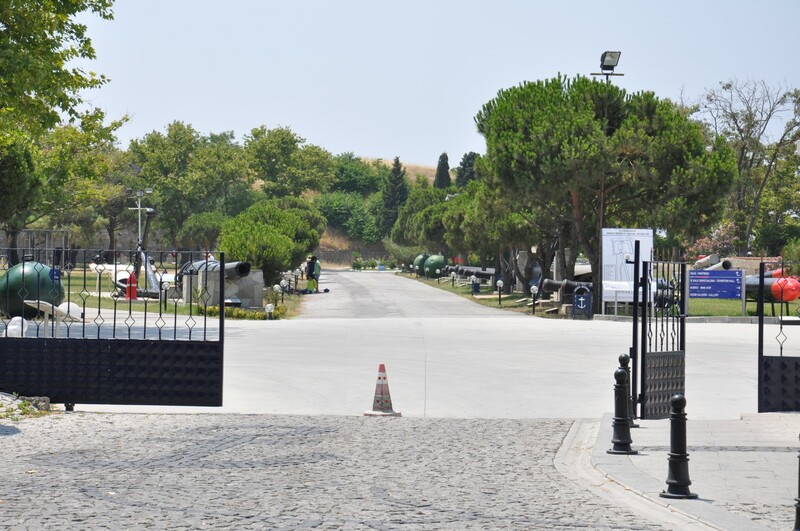 The distance from the terminal to the entrance of the museum is just 500 meters. Admission to the open-air area of the museum, where there is a large part of the exhibition, is free of charge. 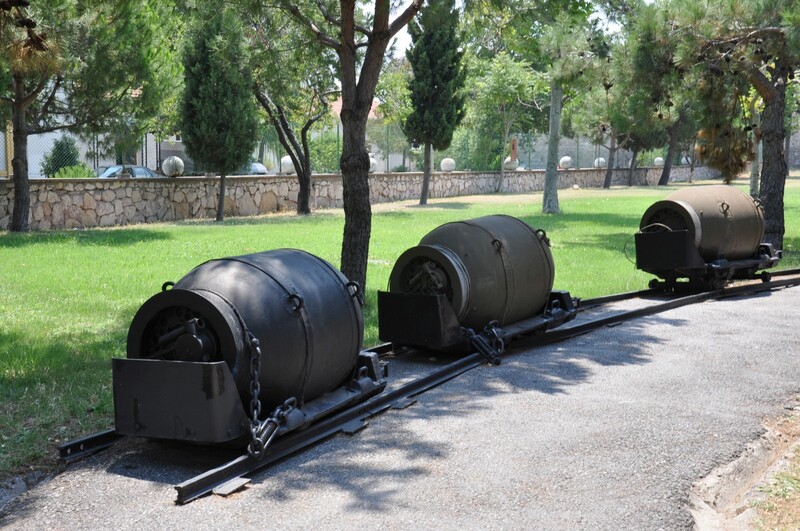 The purchase of a ticket is required to see the exhibition in Çimenlik Castle, to board a replica of Nusret minelayer, and to visit a library. A ticket costs 4 TL for adults, and 1.30 TL for students. Additionally, it is necessary to pay for the permission to take photos (8 TL) and making films (17 TL). 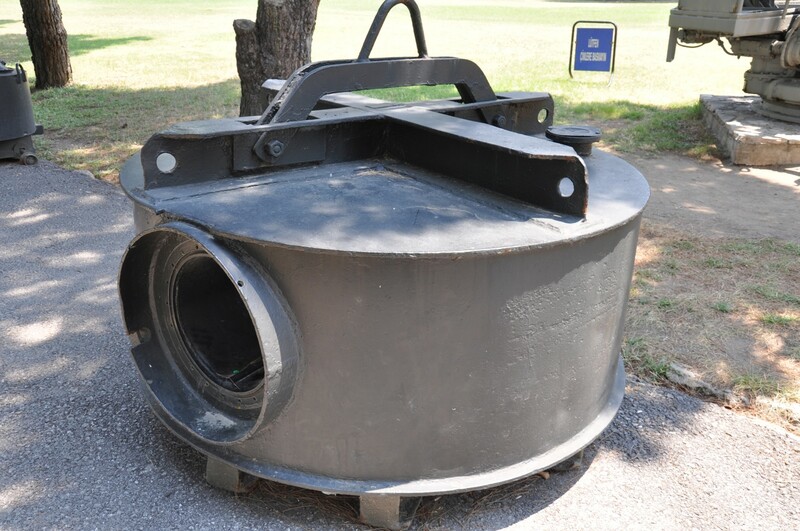 However, in the exhibition in the park, you can take photos and videos free of charge. 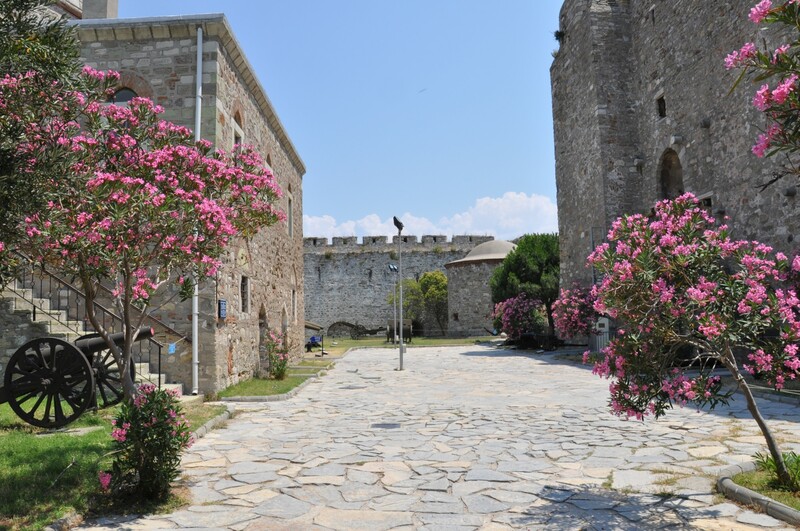 It is prohibited to take photos during the multimedia presentations in the castle grounds and on the Nusret minelayer. 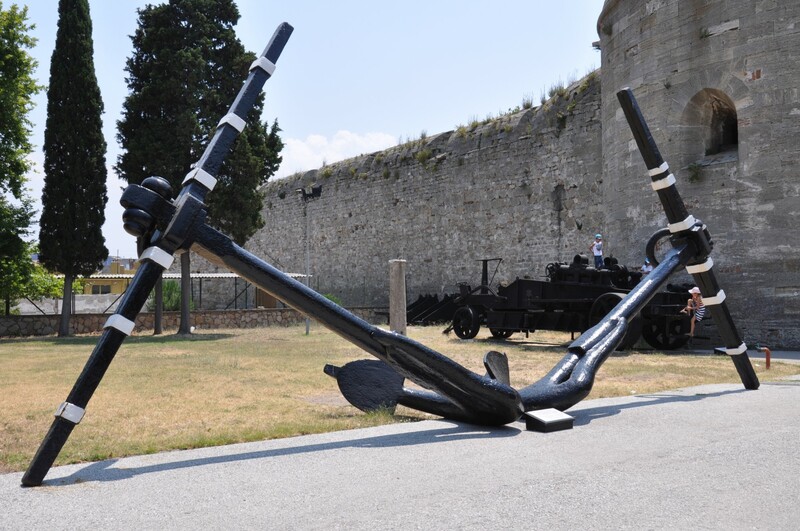 The open-air section of the museum is open to visitors every day, but the castle and the minelayer are closed on Mondays and Thursdays, and on the other days of the week they are open from 9:00 am to noon, and from 1:30 pm to 5:00 pm. Therefore, it is a good idea to avoid visiting these venues around 1:30 pm, as a long queue of visitors usually waits for the opening.